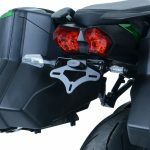 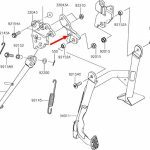 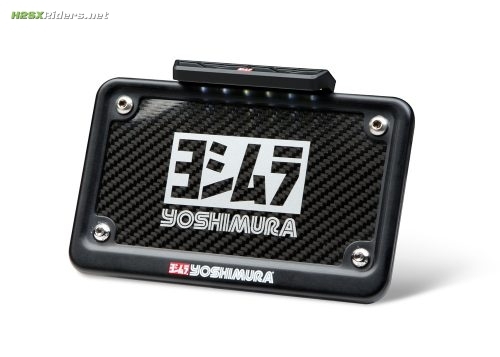 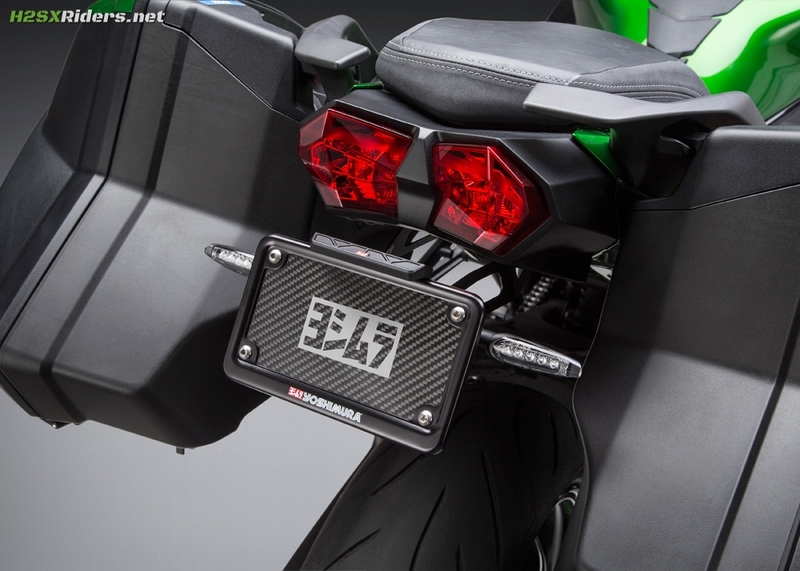 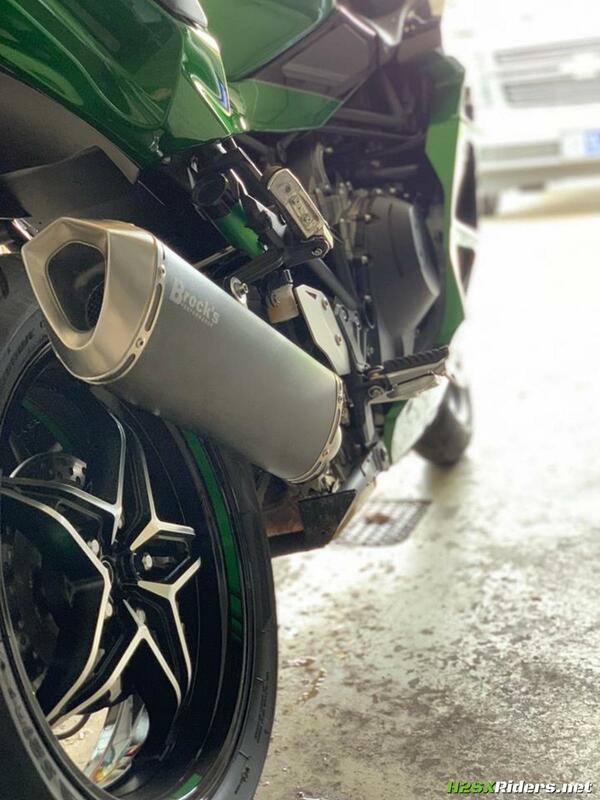 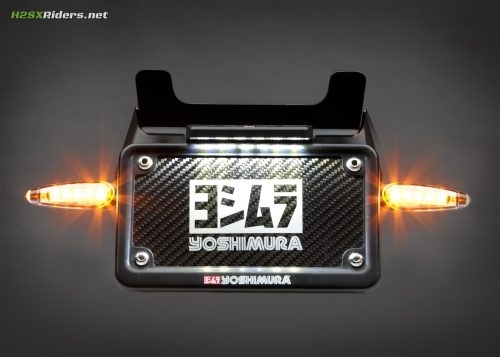 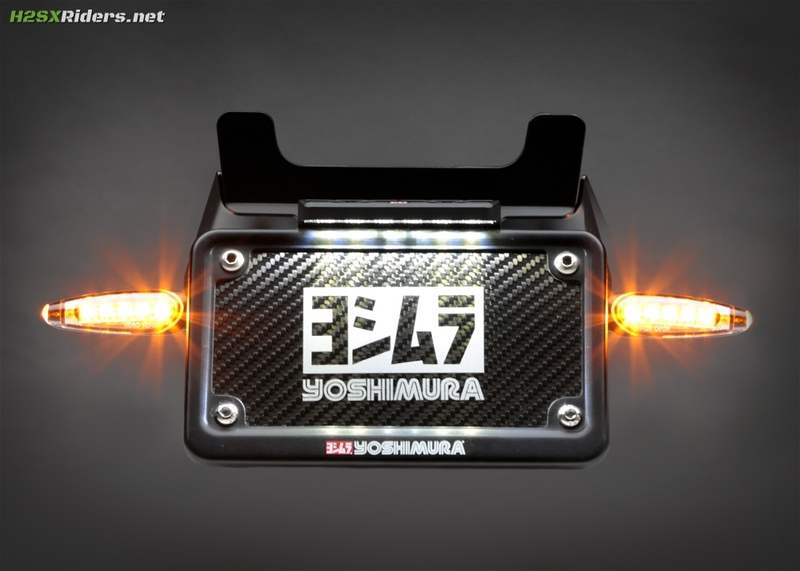 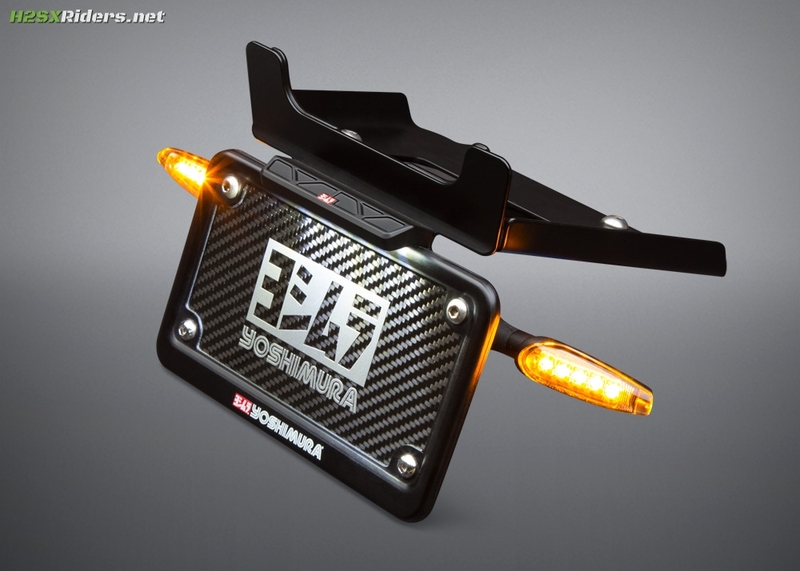 Yoshimura’s H2 SX fender elimintor kit appears now to be in production and available from Yoshimura directly (link below) and other popular accessory suppliers. 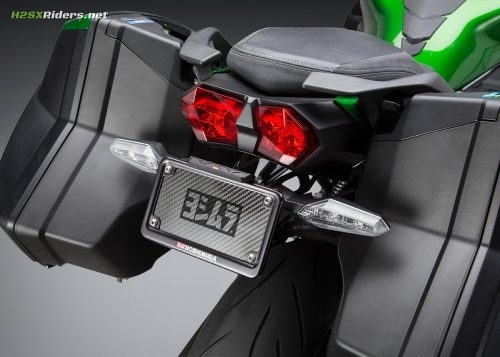 Note that the the custom/slim LED signals shown in the pictures below are ordered separately (per the last bullet), and that the kit also works perfectly with the stock LED signals. 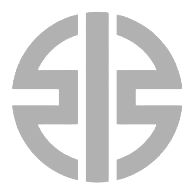 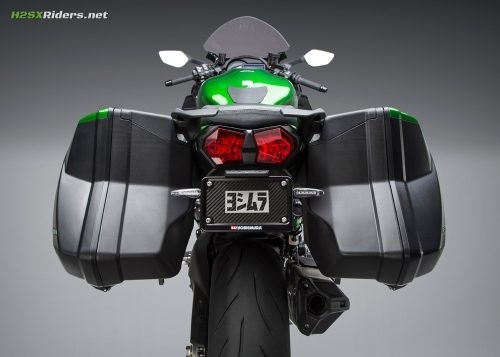 Fully compatible with panniers!